What do we do with all the glass bottles we use every day? Do you throw them away or recycle? 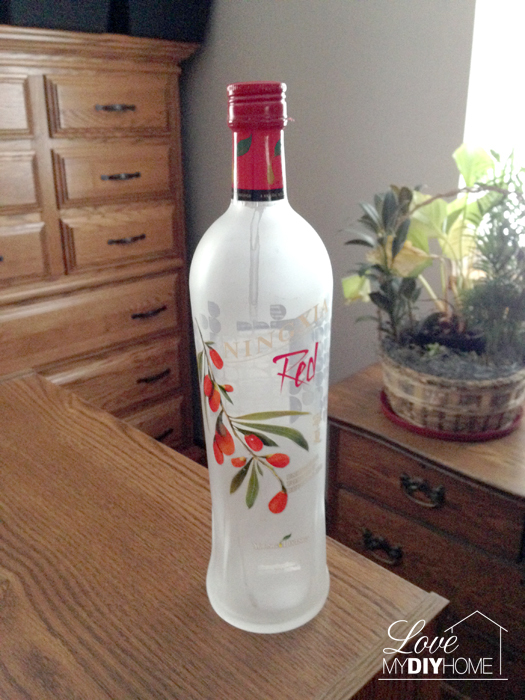 The Ningxia Red bottles from Young Living are such nice bottles – heavy and nicely shaped. There are so many products that come in pretty bottles. 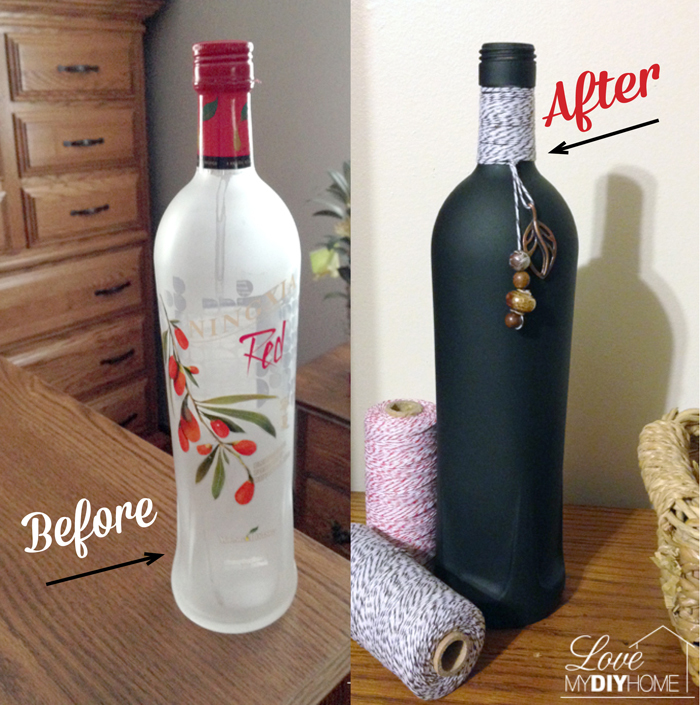 Here is an upcycle glass jar/bottle project for you. 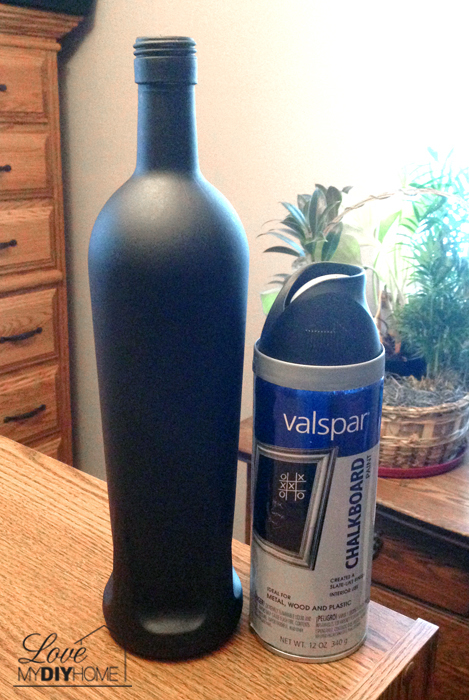 Just spray and decorate – do a couple of light coats so you don’t get drips. 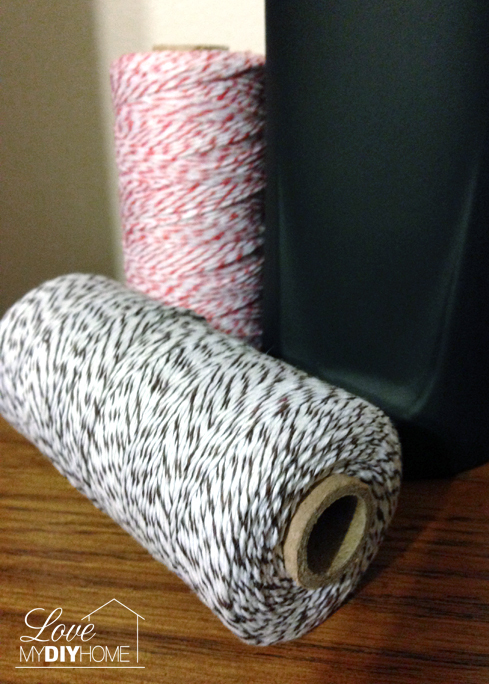 The baker’s string came from Decor Steals online store – $7.50/roll. 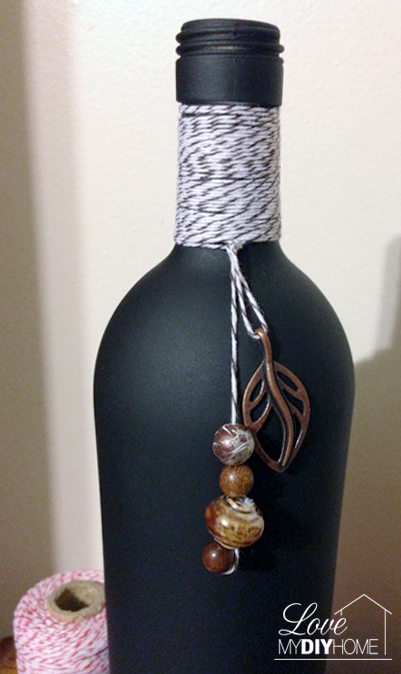 I wrapped it around the bottle neck and threaded beads and a leaf from my jewelry making supplies. The options are unlimited – just get crazy! 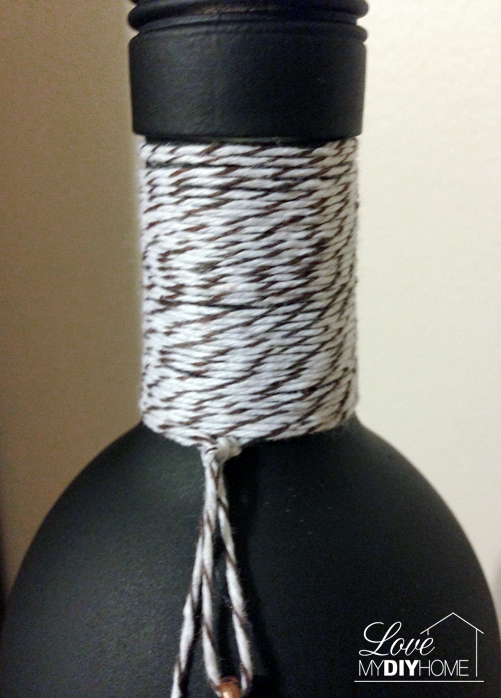 How would you decorate a bottle? Not all easy things are cheap and tacky looking. 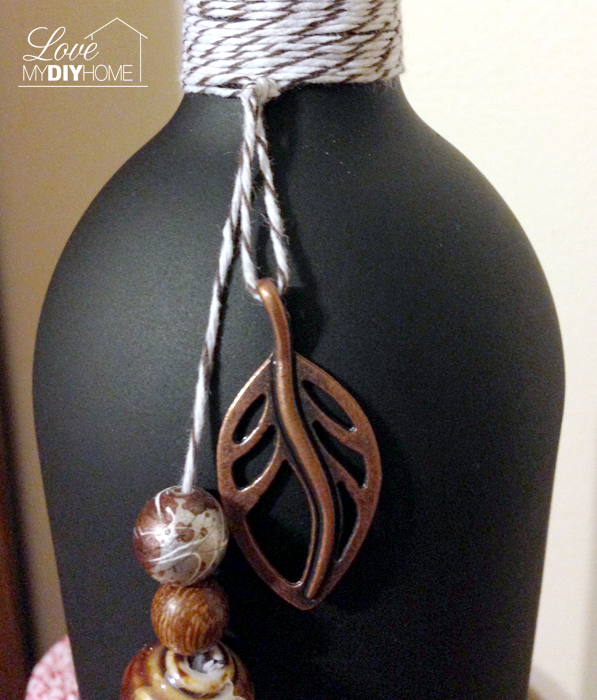 This was super easy and a really good way to upcycle. 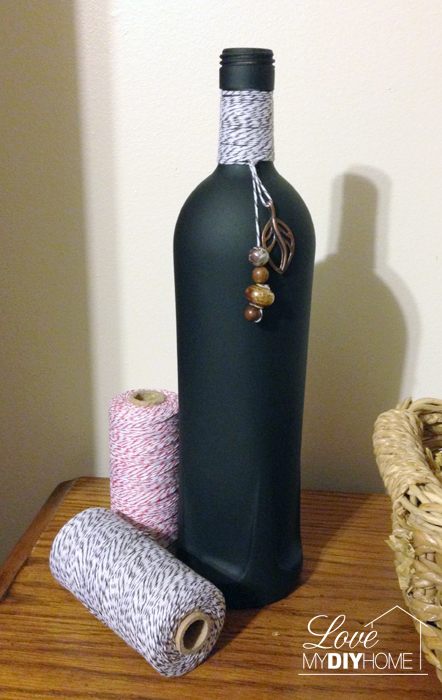 I’ll turn the next bottle into a candle holder. I have a bunch of these bottles, so if you have some suggestions as to how to decorate, let me know and I just may give it a try! This post contains affiliate links that help support this blog. See my full disclaimer here. 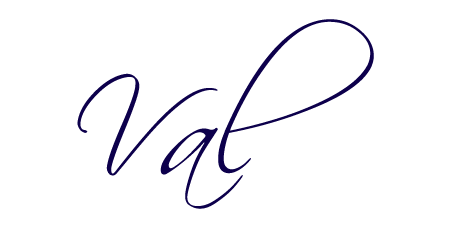 Life After Loss – Is Closure Possible? Thanks, Deb. 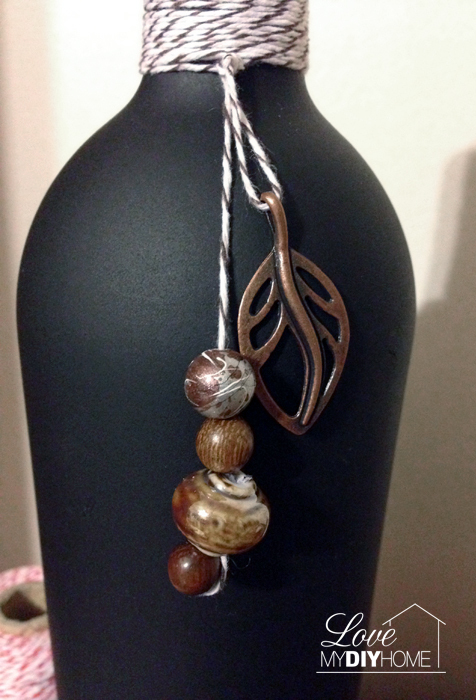 Next is a candle holder – I’d like to do a vase like another reader suggested. I’ve not cut glass before, but have thought I’d like to give it a try. No matter what I paint the bottles with, the label always shows through. How did manage to cover the label? or did you remove it? I used chalkboard spray paint and had no problem covering the writing. You could use a spray primer first and then paint. I use Zinnser spray primer when I am concerned about a bleed through.